Yesterday we took a quick peek inside the RDLX file – Inside the Power View RDLX File. Today we will take a step back into SharePoint and explore what we can do when we access the Power View files through the URL. WARNING: The items that are displayed and discussed here are not documented at all by Microsoft and could potentially change at any point down the road, so use at your own risk. Many of you might be familiar with Reporting Services (SSRS) and creating report files (RDL). With these files you have a lot of flexibility with your design and you can also leverage a lot of commands and syntax when accessing these files through the URL (in Report Manager or SharePoint) – URL Access Parameter Reference. So what is available with v1 of Power View with the RTM release of SQL Server 2012? Hmmm….they don’t look like anything we had available with previous report files. You are absolutely correct. These are new options that are specific to Power View files (RDLX files). With these files we can determine how the initial viewing mode is – currently only presentation (reading mode) or edit – and then which report (view) you want to look at (assuming you have multiple views in your report files). You can now see that by switching the ViewMode value from Presentation to Edit we go from the Reading mode to the Edit mode where the canvas is available and we can modify the layout and design of the Power View report file. 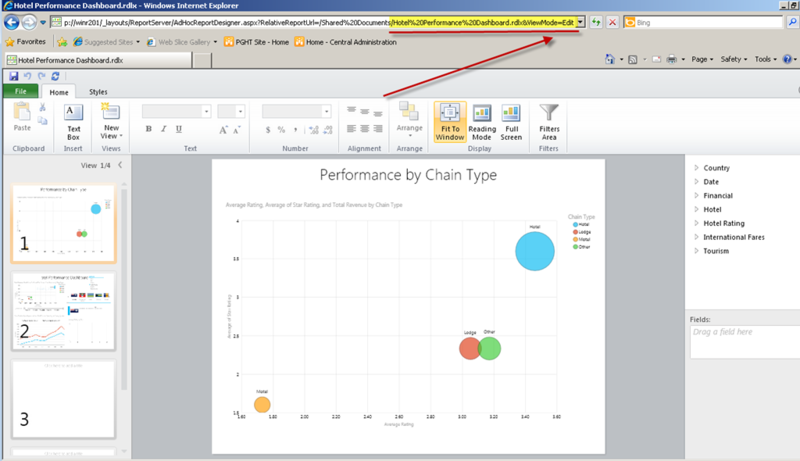 The ReportSections area is setup so that when you export into PowerPoint and access the views in say the PowerPivot Gallery it knows which view of the RDLX file to display and output. In looking at our example up above you can see that we have 4 views included in the Power View report. 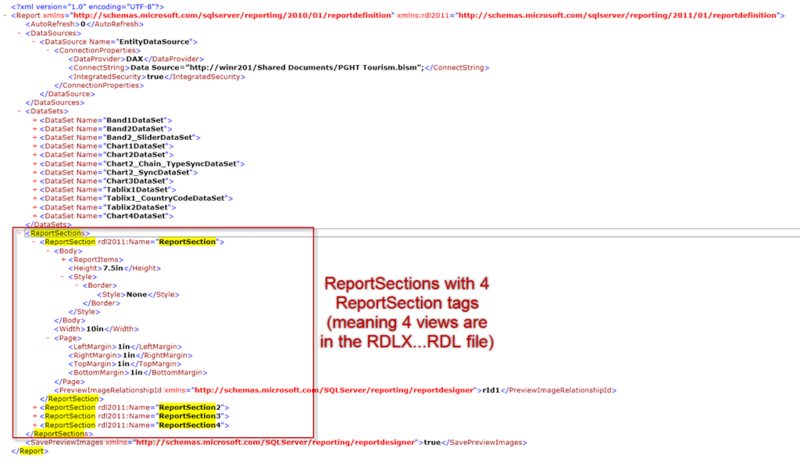 In the XML displayed here we see 4 ReportSection tags in the RDL file and the naming convention is ReportSection, ReportSection2, ReportSection3, and ReportSection4. By using the ReportSection command we have been able to navigate from the first view (report) in our file (ReportSection=ReportSection) to the second view (ReportSection=ReportSection2). Pretty slick! As you can image this will work for the third and fourth views in the report file as well. So for now this is what we have available to us, just ViewMode and ReportSection. It does provide you the means to be able to send an end-user to a specific view within a Power View report file (assuming you have more than one view defined). If you want to find out more about Power View and want to learn about designing Tabular models to support Power View, don’t forget to check out our book – Visualizing Data with Microsoft Power View. This entry was posted on June 13, 2012 at 9:27 pm	and is filed under Reporting Services, SharePoint. Tagged: power view, sharepoint, ssrs. You can follow any responses to this entry through the RSS 2.0 feed. You can leave a response, or trackback from your own site. 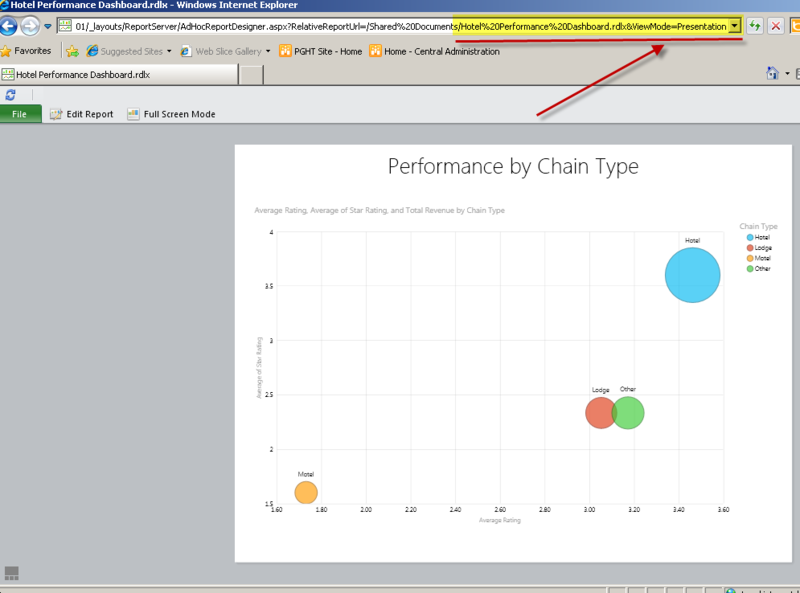 if you look in the initparams of a powerpoint export of PowerView, you’ll see more parameters. 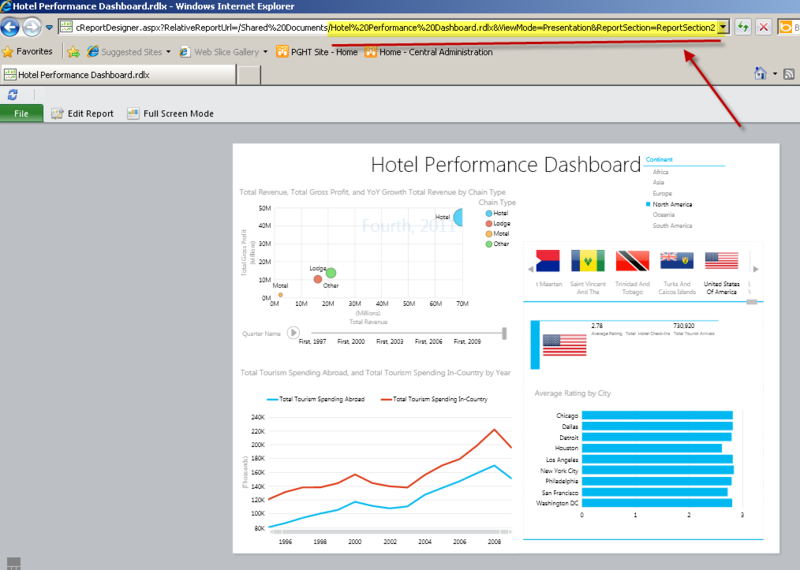 Have you worked on localizations with PowerView reports? We have 64 reports in a SharePoint site that need to be “converted” to Dutch, I am trying to find if there is a way to do it. I did try to extract the rdl file from the rdlx file and modify them but on zipping and renaming them the files become unreadable to SharePoint.